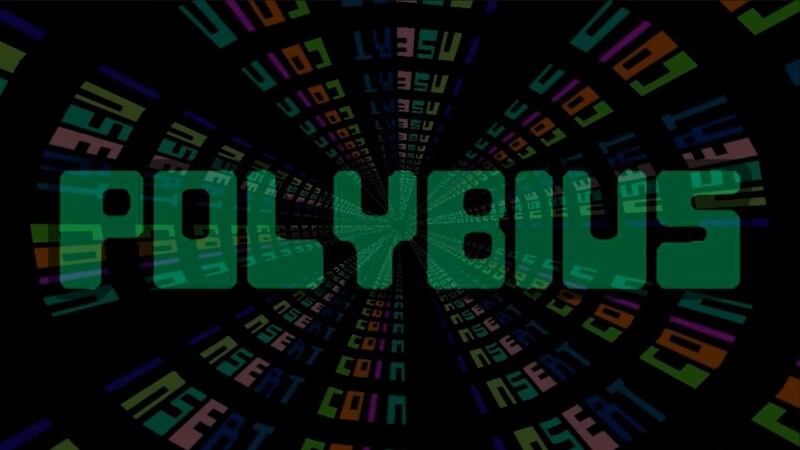 Last week I had been thinking (and subsequently writing) about the urban legend of Polybius, the fabled game that could basically cause you all sorts of creepy problems if you were unfortunate enough to play it. The legend began back in the arcade heyday of the ’80s and hasn’t quite let go of our collective imaginations. It seems for every debunked aspect, another rumor surfaces keeping the legend alive. So imagine my surprise this week when it was brought to my attention that a documentary is being made (and currently Kickstarted) on this very subject. The proposed film is called The Polybius Conspiracy and, at the time of this writing, has 19 days and needs just over $80,000 to be successfully funded (if you are so inclined please head to their official Kickstarter page). Headed up by John Frechette, the film has two other promising folks on board: Todd Luoto, and Dylan Reiff. I suppose it’s a bit selfish of me to hope this gets funded. I’ve always been intrigued by the urban legend, and growing up in Portland, Oregon (the general home of the myth), it rings all the more true. Loaded with a couple of cameras and a few dollars, over the past year we’ve been interviewing arcade owners, game designers, journalists, enthusiasts, and tour guides to name just a few. They’ve not only helped us explore whether or not Polybius was real, but also shined a light on the numerous truths, gray areas, false memories, tales, and hoaxes from the golden era of arcade games. Influenced by filmmakers like Werner Herzog, Errol Morris, and Rodney Ascher, we plan to dive into the chronology, testimonials, and psychology of the legend; an intersection where urban mythology and dark secrets meet the arcade scene. Was the game real? Was it fake? What was its purpose? And why, as avid fans of both gaming and urban legends, does finding the truth even matter to us in the first place? My brain, being the curious mass it is, just wants to know more. What will they uncover that legions of internet speculators have not been able to? As a quick recap for anyone who didn’t see my earlier piece, Polybius was rumored to have been created back in 1981 by the company Sinneslöschen. No one can quite agree on what the game consisted of, whether an abstract puzzle game, or as a space shooter, but the subsequent effects were all disturbing: amnesia, night terrors, insomnia, stress, and the strangest of all, the desire to no longer play video games. It begs so many questions. So many more than there are concrete answers for. As an absolute arcade junkie (I miss you, Ground Kontrol! ), anything from this era intrigues me. I adore documentaries. I’m glad this was brought to my attention, as I’d love to see it get funded, finished, and released. So I encourage anyone out there who is remotely interested to head on over to Frechette’s Kickstarter page for more information. Just like Mulder said, the truth is out there. Let’s find it together. Look at that! You are on the cutting edge of the collective consciousness (I’m pretty sure I have no idea what that even means). It is interesting that your post about it and this kickstarter both happened at nearly the same time. I had actually never heard of the game before reading about it on your blog, which makes it all the more weird feeling to see interest in this thing from multiple sources almost simultaneously. I hope it gets made… and that the government doesn’t shut it down in an effort to keep the truth from… (Mulder, Mulder, Mulder). douglas, i actually laughed out loud at this! it is exceptionally weird about the timing. i had no idea about the potential documentary and i had just been thinking about the urban legend in general. i thought it would make an intriguing topic, so i went with it. i, too, hope it gets made. i want to see it! but if black oil shows up anywhere, i’m out of here. That would be great if it got made.